Slips and falls, cuts and burns, lions and tigers and bears. Oh my! Injuries happen at an alarming rate in some restaurants and hardly ever in others. How is this possible? 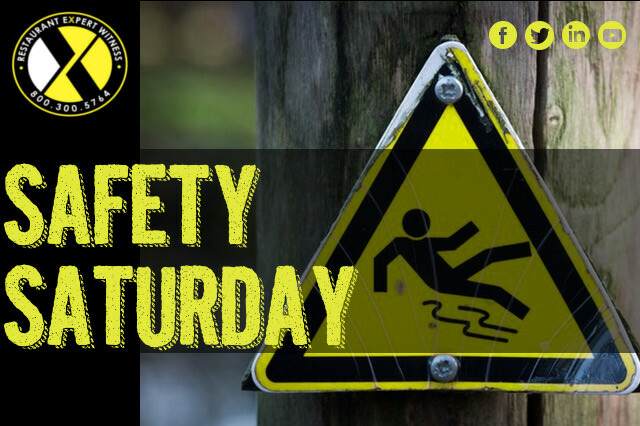 The office of OSHA (Occupational Safety and Health Administration) states that the difference is safety awareness. Restaurant owners who are aware of and concerned about employee and customer safety have significantly fewer accidents in their businesses than their not-so-concerned brethren. You should be concerned about the safety of your employees and customers. In fact, you should have a monthly safety meeting with all of your employees. In many states, this kind of meeting is required by law. Finally, be sure to report injuries. Injury reports are a critical component to reducing liability and showing concern. Inform the appropriate people of the injury. Put in place an injury reporting system. The moment an injury occurs, follow the correct procedures. If someone needs to go to the hospital, call an ambulance. Make sure you write down everything that occurred. Providing a safe place for employees to work and a safe place for customers to dine is the responsibility you take on the moment you become a restaurant owner or a restaurant manager for someone else, and it is a responsibility you must not take lightly. Well thought out and well-planned restaurant concepts have fewer accidents than poorly designed and underanalyzed competitors. The money you will save by doing things right the first time shows up in many ways—lower insurance costs, fewer workers compensation and liability law suits, and even better customer and employee satisfaction. That is the reward for reducing your risks. For more details visit Restaurant Expert Witness.